In response to fellow villagers chastising him over his suicide attempt ‘What do you know of my problems’? said Mallikarjuna, a farmer and breathed his last, having consumed a lethal dose of insecticide. It is true.. what do we know of their woes. A suicide is reportedly happening every eight hours in the cotton belt of Vidarbha. As if this is not alarming enough, let me point out the above incident however, occurred in Karnataka this time, due to the falling prices of onions..a depressing agrarian scenario, that mirrors a corrupt and decadent administration, indifferent to the crisis. ‘Falling prices’? When? Where? You might ask. Valid question. Debt repressed farmers are coerced into selling their produce at the rate of Rs.200 a quintal, or Rs. 2 a kilo which escalates to Rs 14 or thereabouts by the time it reaches consumers.So both farmers and consumers are as if putty in the hands of the system. Middlemen are ruling the roost pocketing the major chunk, while farmers are paid a pittance. Weighed down with the enormity of debts to begin with, low returns multiply their woes on one hand and compound interest on the other. Frustration, hopelessness, despair leads them to the path of ruination. Suicide, an option embraced by their fellow villagers, as if endemic, then seems a panacea to their ills . As if struck by a three pronged attack of a callous government, economic breakdown, sharks as money lenders, the sons of the earth are falling like nine pins to the machinations of the greedy. Details of suicides vary but the underlying cause remains constant. A flawed agrarian policy, symptomatic of deep rural distress. What is to be considered is not just the statistics of suicides rising like mercury in the barometer of Indians shame, but also how this may result in moral despair for those yet braving the storm. Hunger may lead to death, if not suicide. Which of the two is more alarmingly poignant? Can we expect honest statistics of hunger deaths? Browbeaten by drought and natural calamities was a reality farmers had to contend with . But falling prey to predators, strengthened and supported by devious governmental policies reflects just how poorly developed we are as a nation. India Posited? Oh really! Picture that while counting the dead bodies of impoverished farmers. Undoubtedly the complexity of the situation, its layered beaten inundations over the decades into the fabric of agrarian life defy easy solutions. However that ought not deter seeking immediate redressal for avoidance/stunting of this crisis. Onions sure do leave us teary! This is such a well written post. Most importantly highlighting the role of middlemen is such an eye opener. Shame on us and our dwindling ethics as a nation.!!!!!!! It is a pity that those in power are blind to such reality.Besides the govt, I would also blame the media as they do not get enough TRPs on such coverage.The biggest problems in the country are Corruption-and-Lack of Governance. Any amount of criticism is nit worth it as the same set of people come back to power. Govt loses Rs 58ooo crore a year of food stock due to lack of storage facilities. All I can say is that we need to hang our head in shame. Chowla ji instances and examples such as these , if anything make us gloomily realise that India lost being a Super power because those in Power were hungry to be Super Powers themselves. Else there is no reason that the Land of Gandhi, Bhagat Singh, nehru and Bose could have been so badly damaged. It seems beyond repair now. One cannot instill a national conscience where none exists. It’s sad but true and we are are a mere helples watchers. On this subject , last year there have been two Movies which were laudable and won numerous awards . One is a Marathi feature film “Gabhricha Paoos” and the other a Documentary “Noha’s Guest”. Deatails about both these movies are given on my website. Feature film under “IFFI 09– Film Festival report( On Sachiniti also) and the other under 11 th MIFF. Mohan ji..despite all this attention and accenting of the issue, problems remain unsolved, their debts keep piling up leaving them with the miserabl;e option of ending their lives. I totally agree with article. The problem that has been highlighted here is that farmers just get meager amount for their produce whereas the middle men takes the most. Now a days when inflation is at all time high, only middle men not the farmer is gaining benefit out of it. such a well written post.I totally agree with article. Yes..you are very right. Its the middle men that control and eat away the profits. Agriculture is the very basic industry and it is suppposed to score over others. Why Farmers suicides are due to Middlemen? What about suicides by IT professionals which is considered due to STRESS and called a mental disease “Depression”. Who abets these suicides? Is it the state, society or the Middleman? Why farmers in well of areas in Mharashtra and Karnataka comparatively to farmers in Tamilnadu’s arid Ramnad district or Farmers in desert Rajasthan commit suicide? Elaborate on your contention Captain..could not quite get your drift. A farmer gets a loan from a bank or loan shark with middlemen playing active role. He spends on borewell or on his field. some he spends on his booze and some he pays as commission to the loan shark.Now if the borewell runs dry, or his crop fails or prices of his produce falls, then he has to sell his land to the Bank or loan shark. Here he feels that by committing suicide he saves the land for his family.This is actively encouraged by loan sharks as well as his family.You will never see a woman committing suicide which may be due to other causes like domestic violence. Now th LOAN is waived off by government and land stays with family.Everyone is happy except the poor farmer. Where the loan is not taken there is NO suicide. In India we glorify suicides. Even dyeing for dead filmstars is encouraged or dead politicians by media. Suicide is COWARDLY ACT HOWEVER it may feel justified to our society.The maharashtra and Karnatak farmers are comparatively well off and their land also fetches more loan and so they commit suicide not poor arid land owners in Tamilnadu or Rajasthan who donot get loan in the first place. The solution is give them tractors, seeds,fertilisers etc and no cash. It is with great pain that even after almost 60 years from when we became independent ,even to this day we dont have an efficient storage and marketing mechanism. Captain Johann.. One cannot but agree with your contention. I wonder why some well meaning politicians( is that an oxymoron? )fail to see the validity of your argument. Probably they do but refuse to abide its implications for ree\asons that can stem from cuts to plain apathy. Arjun.. like you rightly mentioned it all boils down to political will. One cannot fathom as to why cannot a system be in place that can deal efficiently with all of this at the grassroot level when India has proven to be a Major power and player in other fields like technology, IT , textiles, and telecommunication. Obviously those administering the farmers are out to fill their own pockets. So this is their IT sector!! 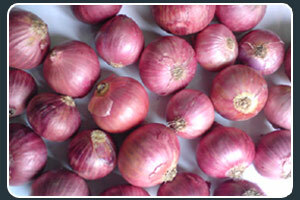 No only Onions but basic food is rising like any thing. Middle class people get more problem because of this. This post was an eye opener, thank you for sharing it on your blog. Vinit told me that you visited the states, hope you had a good time. Hi Srikant Long time 🙂 Yes I was there and enjoyed it immensely. US far exceeded my expectations in the look, and culture of its people. And of course being with Vin and Nits was heaven. very nice post on a current problem. the problem of the common man.